When water penetrates the walls of a structure it can cause a wide range of undesirable effects. Slowing the penetration of water into walls and reducing the transmission of water vapor is crucial for the long-term health of buildings. Dampproofing membranes coat walls and foundations to reduce the penetration and transmission of water. Mar-flex created DampFUSION to provide a top-of-the-line dampproofing membrane for projects where waterproofing membranes are unnecessary, uneconomical or simply impossible to apply. 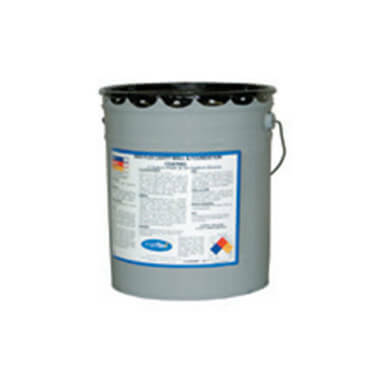 DampFUSION Dampproofing Membrane is a premium water-based acrylic dampproofing membrane, based on our revolutionary FUSION waterproofing membrane. In addition to its preventative dampproofing effect, DampFUSION will stop water vapor and protect against leaks. 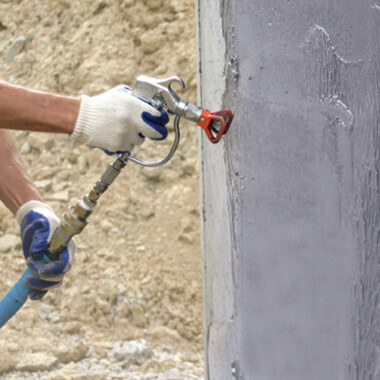 DampFUSION is approved for masonry, block, pre-cast and poured concrete wall foundations. Mar-flex designed DampFUSION as a spray-on membrane. It dries as a seamless, monolithic coating. It can be applied to pre-existing damp walls and the top of the foundation wall. It is odorless dries gray to blend with the color of concrete. While DampFUSION is compatible with Mar-flex Drainage and Insulation Boards, it is not a waterproofing product. Dampproofing, the application DampFUSION was designed for, is often confused with waterproofing. Dampproofing slows down water penetration but does not completely waterproof a foundation. However, DampFUSION is usually a highly effective method for stopping water vapor transmission.